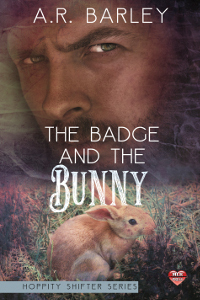 Bunny shifter Roscoe Bliss is always moving around, but when he meets Thisbane, the police chief of New Hope, will he finally be able to settle down? Police Chief Thisbane is six feet eight inches of muscle and attitude. After a lifetime spent maintaining law and order in New Hope he can spot trouble from a mile off. Of course, he's never seen trouble like bouncy bunny shifter Roscoe Bliss. Roscoe is in town to help his cousin Peter give birth. He's not looking for a mate, but that doesn't mean he can't have a little fun. Can these two beat the odds or will meddling townspeople, arrows on Main street, and attacking wererabbits succeed in driving them apart? Benjamin Holland is a werewolf hunter--and a pretty successful one. 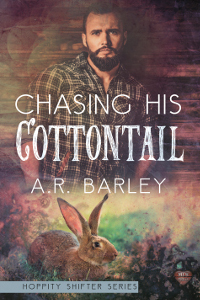 He's hunting a rogue wolf in Minnesota when he trips over a bunny shifter and takes the twitchy nosed little dude back to Illinois. It's strictly catch and release. He needs to get laid, but after getting his heart crushed by his best friend Peter he's not looking for a forever mate. Mating is the last thing on Justin's mind. He's just escaped an arranged marriage to his warren's next Rex. He wants to make up for lost time and build a life for himself in Chicago, but the more time these two spend exploring the city together the better they get along. When Justin's ex-fiance tracks him down to the city, they're going to have to decide if forever might just start with one magical night. 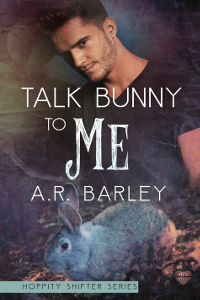 Peter's been half in love with Luke Holland for as long as he can remember, but his best friend's very human brother has always been off limitsâ€¦but when werewolves come to town this bunny shifter is going to have to decide whether he's ready to fight for what he's always wanted. Luke Holland is tall, dark, and human. He's also off limits for daisy obsessed bunny shifter, Peter. But when werewolves start hunting Peter in the woods around New Hope he's going to need Luke's help to fight the intruders. Of course, when Luke discovers the truth about Peter he's never going to stop chasing his cottontail.